Solid Sterling Silver Pocket watch in an engine turned half hunter case. 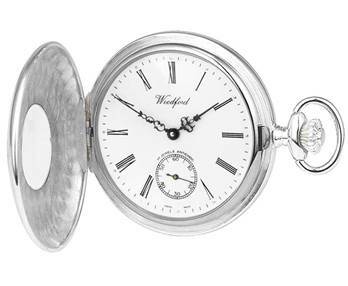 This quality watch from Woodford has a white dial with slim Roman numerals, period hands and outer minute indicators; the second dial is located at the 6 o'clock position. 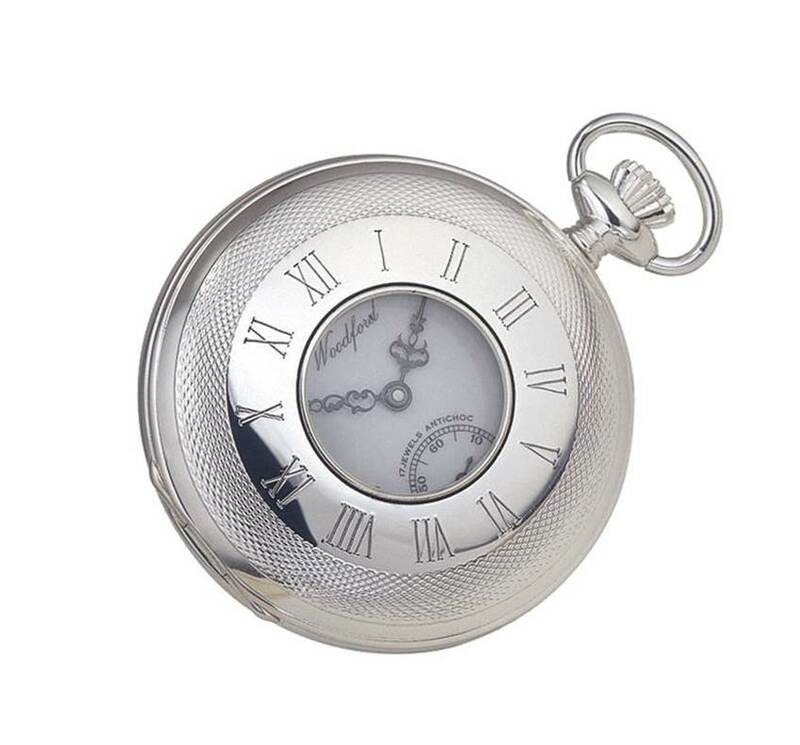 This pocket watch has a Swiss made Unitas 17 jewel mechanical movement. There is a plain disk on the back suitable for engraving initials. 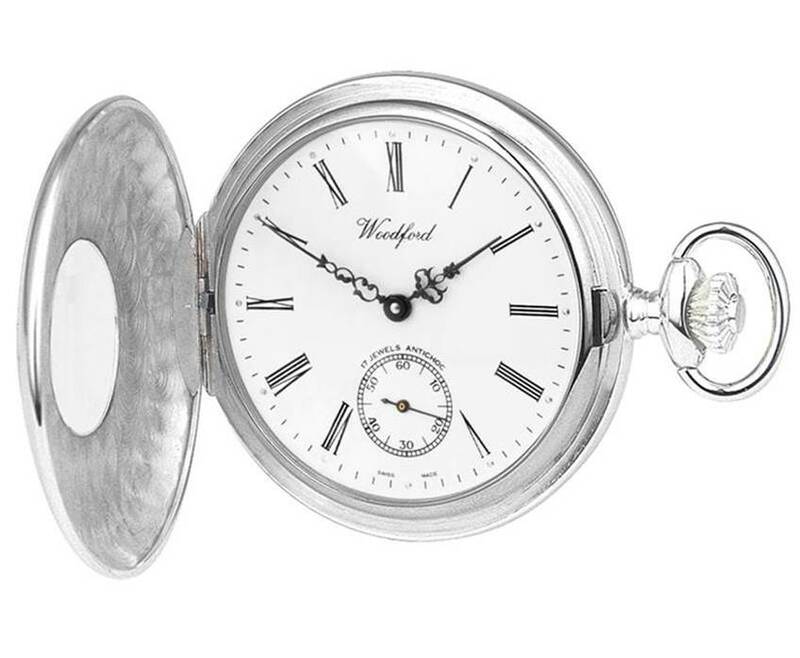 This quality pocket watch comes in a quality Gift Case with "Woodford - Est 1860 - Sterling Silver" on the inside of the lid. A Chain is not supplied with this watch.